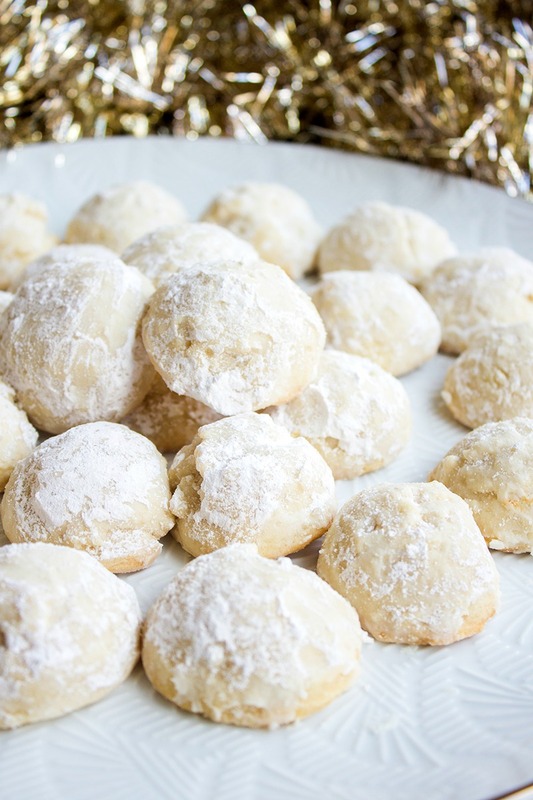 5-Ingredient Vanilla Almond Snowball Cookies are an easy holiday cookie that’s a favorite at Christmas time! Make a double batch and share with friends! I LOVE HOLIDAY BAKING! 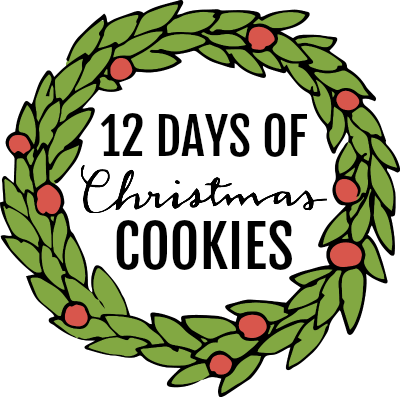 It’s my favorite time of year. It doesn’t matter if I’m making cookies, pies, cakes, or easy breakfast casseroles, I love baking for family & friends. These cookies are one of my go-to Christmas cookie recipes. I make a batch every year for the cookies plates we pass out and they’re always a hit. 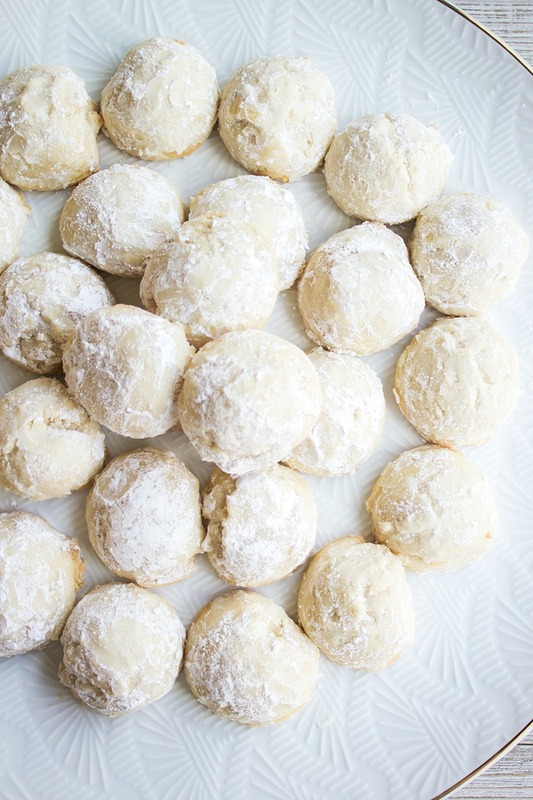 I call this recipe 5-Ingredient Vanilla Almond Snowball Cookies, but I’ve heard them called Russian Tea Cakes and Mexican Wedding Cookies too. Whatever you name them, they’re a fun holiday cookie that disappears about as fast as I can fill the cookie jar! A few years back I did a Christmas cookies recipe exchange with some other bloggers. I’m always looking for yummy cookies for the holidays and I got the best recipe from my friend Carrie at Frugal Foodie Mama for the exchange. 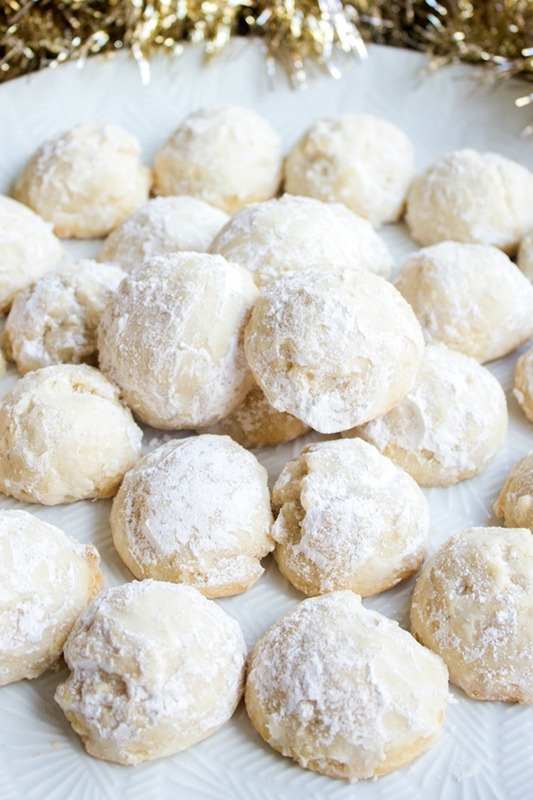 These 5-Ingredient Vanilla Almond Snowball Cookies are SO easy to make and a hit with everyone, young and old! A little backstory about these cookies. Carrie might blush, but I have to share the note she sent me along with this recipe. I am sharing with you my recipe for Mexican Wedding Cookies. They are so easy, I am almost embarrassed. (Okay, not really because they are crazy good!) My mom has been making them since I was a little girl, and I always loved them because I thought they looked like little snowballs. Hopefully, Carrie will forgive me for taking a couple liberties with her beloved snowball cookies, but I was working with the ingredients I had on hand. That’s one of the best things about this cookie recipe! You can use your favorite nuts (almond, pecans, walnuts, heck even peanuts) and then proceed with the recipe as usual. These cookies are always the first to be eaten when I give out cookie plates and with good reason! 5-Ingredient Vanilla Almond Snowballs are an easy holiday cookie that's a favorite at Christmas time! 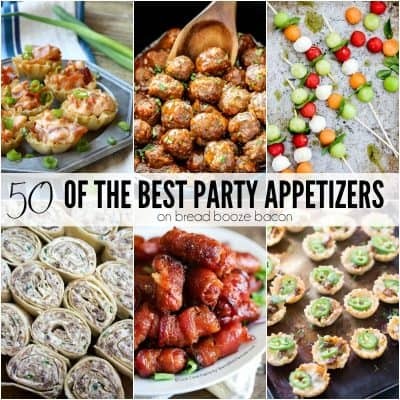 Make a double batch and share with friends! Place chopped almonds on a baking sheet and toast for 3 to 5 minutes in preheated oven. Remove from oven and set aside to cool. Once the nuts are cooled, beat together the butter, 1/2 cup powdered sugar, and vanilla in a large mixing bowl. Add flour to butter mixture in two additions, mixing until just combined after each addition. Stir in the toasted almonds by hand. Use a small cookie scoop to portion cookie dough and then roll dough into 1-inch balls. Place cookies on a silicone mat lined baking sheet. Bake for 14 to 16 minutes, or until the bottom edges of the cookies just begin to brown. Remove cookies from oven and let cool for 5 minutes. Roll warm cookies in the remaining 1/2 cup powdered sugar, and place on a wire rack to cool completely. You can also make this recipe without the nuts and it will be completely delicious! Without nuts, this recipe makes 24-28 cookies. I must say toasting almonds is a must!! I also sprinkled some left over toasted almonds on top.. I should have doubled receipe cause they were the first cookie to go!!! Excellent!! mine came out very dry. Hi Linda! This is a shortbread style cookie and they do tend to be on the drier side vs. a cookie using egg and a leavening agent. The use of powdered sugar vs. regular sugar also gives that crumbly effect to the finished cookie. Was your dough hard to work with and overly crumbly? I’d love to help you troubleshoot. Do you think I can use a gluten free all-purpose flour and they turn out the same? We’ve gotten a gluten intolerant family member! Hi Carle! I haven’t made them with GF flour and depending on the type you use it can change the texture and consistency of the cookie. That being said, these are a shortbread style cookie and pretty forgiving. I think you should be okay to substitute the flour. Hi Steven! Without being in the kitchen I can’t be sure what went wrong. Did the cookie dough hold its shape before baking? It should be a ball, not just a scoop of cookie dough. That’d be my first indicator. Can I substitute reg flour with almond flour. 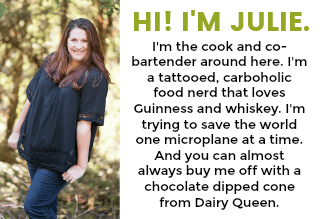 I am insulin resistant and need to cut down on carbs. The almond flour i bought is superfine blanched almond flour. Hi there! Just curious, I didn’t see it in the description. Could have missed it, but about how many cookies does this recipe make? Thanks! Can’t wait to try it. Followed the recipe exactly and they came out great! Definitely going to pair well with a nice cup of tea or a mug of cocoa. Thanks so much for sharing!